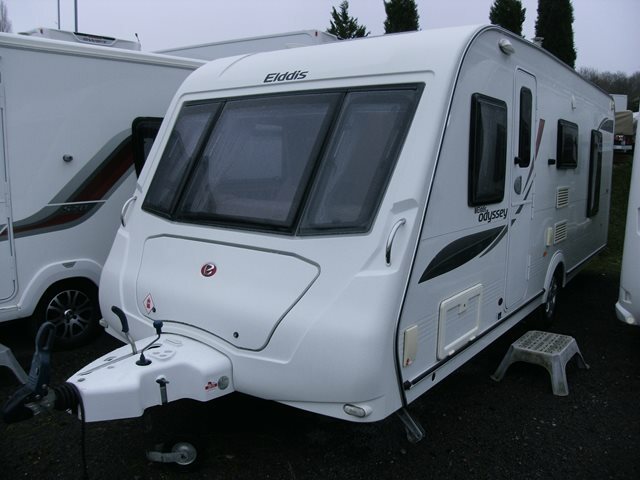 Our used Elddis Odyssey 550 is shown below, for more information please contact us. This Odyssey features an unusual, but excellent layout. The 550 has 'L' shaped seating to the front, a fixed island bed to the rear and a central wash-room. This Elddis includes microwave, full oven/grill & hobs, blown air heating, fridge, external BBQ point and comes with a fitted motor mover. For more information please contact the sales team on 01384 636465.